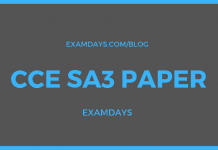 SSD GD Previous Papers 2019: Download the Complete SSC GD Constable Previous Question Papers of last Five (5) Years papers in PDF Document, those who already applied SSC GD Constable posts then download the complete GD Previous Question Papers 2018. The PDF document is downloadable papers in PDF. Download SSC GD Constable Previous Papers. The complete SSC GD previous papers are given pdf format, those who are preparing for the SSC GD constable examination can download the listed previous year question papers and prepare accordingly. The SSC GD 2018 online objective exam consists of four (4) sections, which are split into part-A, Part-B, Part-C, and Part-D. Follow these sections, which are followed in the examinations. Download All SSC GD question paper 2013 download pdf papers (SSC GD Constable Previous Papers) in document format and these papers are instantly downloadable into PC and Mobile and eco-friendly books for immediate access and easy to understand the SSC GD Constable papers. download all SSC GD Constable papers now. 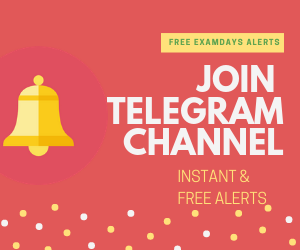 If any questions have, candidate has to comment in below comment box with valid questions and ask if any study material required, we will respect candidates needs and required study materials.